You are here: Home » BACK TO THE GRILL AGAIN!!! BACK TO THE GRILL AGAIN!!! With summer right around the corner, I’m looking forward to pulling out the grill. Grilling is a form of cooking that involves dry heat applied to the surface of food. Grilling usually involves quite a lot of direct, radiant heat and tends to be used for cooking foods quickly. During this time of year in New York City, a lot of grilling is taking place. I love a good BBQ, but a lot of the times, inexperienced grillers create subpar dishes at these events. You go to these functions where there’s grilling going on; unfortunately, the grilling is going wrong. It’s a problem that can be fixed pretty easily with a few simple steps. Marinate your meat. Marinating helps tenderize the meat. It also adds flavor. Marinating should begin at least an hour before placing your meat on the grill, but starting overnight will bring out the fullest and best flavors. Few people like the taste of lighter fluid. If you’re using charcoal and you need lighter fluid to get it started, don’t go crazy with the lighter fluid. Use a small amount and place a page of news paper under the coal to help start the fire. It is also a good idea to make sure you give the coal enough time to burn off some of the taste of the lighter fluid. I’ve been to a few BBQs where the meat was burnt on the outside and still raw in between. 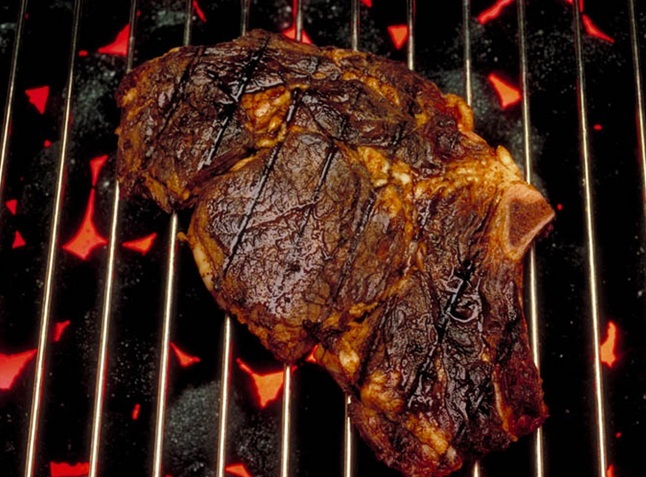 The best way to make sure your meat is cooked through – without burning – is to create a hot spot on your grill. Divide your grill into two sections: a hot section and a warm section. Remember the more charcoal you use, the hotter it gets. Stack more charcoal on one side of the grill, so you create a hot spot. There should be less charcoal on the other side creating a warm spot. Start the meat on the hot spot. Once the meat gets the proper charring, move it over to the warm spot. This method supports indirect cooking and ensures thoroughly cooked meat that is not burned. The biggest mistake people make when grilling is putting sauce on too early. Most BBQ sauces are tomato based and a lot of them have sugar. Both ingredients tend to burn very easily. I strongly advise not adding your BBQ sauce ‘til you’re just about ready to take the meat off the grill. The best time to start basting your meet with BBQ sauce is within the last 3 minutes of grilling it. If you use these few simple techniques, I promise you will have some really great grilled meats.